We give you the latest news about heating, cooling, HVAC systems, and more. The Internet of Things is gaining popularity, which means we could soon see connections between our home appliances that change the way we live. This article by Business Wire talks about the potential that 2017 has to be the year of home connectivity. At Timothy Off, we love hearing about new HVAC technologies on the market. We recently came across an article from Air Conditioning, Heating & Refrigeration News that shared a few “game changers” in the HVAC industry. We thought we’d share. In the past several days, there has been a lot of talk about air conditioning and how it affects women and men differently in the workplace. According to a study in the journal Nature Climate Change, many offices are setting their thermostat temperatures based on a male’s metabolism. If you haven’t heard of Dubai, it’s a wealthy city in the United Arab Emirates (situated between Oman and Saudi Arabia) that’s known as one of the most elaborate tourist hot-spots, bringing in millions of visitors every year. Dubai’s most recent idea is to expand the tourism aspect and do something that would keep visitors coming year round: turn itself into the world’s first air-conditioned city. Many members of our Chadds Ford air conditioning company love sleeping in colder temperatures and according to a recent study, doing so may actually be beneficial to your health. Back in December, Target Corporation announced that their global chain of stores had fallen victim to a massive data hack: Between November 27th and December 15th, hackers stole information from around 40 million credit and debit cards and, like many other data breaches, many wondered how this was possible. 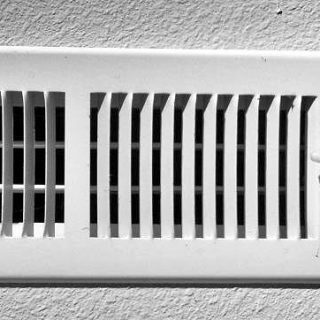 Could “Smart Vents” Be the Future of HVAC? If you have a central heating system, you’ve probably had an experience where the temperature of one room is different than the temperature of another. This could stem from one room having more vents than the other, a blocked vent, or an item obstructing a vent. The HVAC service experts at Timothy Off would like to bring to the attention of homeowners the amount of HVAC theft that has been going on recently. Many thieves have been stealing air conditioning units from windows, HVAC unit parts, and whole HVAC units from yards in order to make a profit off of their components. Have you ever tried to position your air conditioner so that it blows right where you want it, only to find that moments later, it’s not working the way you want it to? Well Mitsubishi is out to change that.